+ Friendliest Staff in Town! Whether you're married, single, or "it's complicated", we can prepare your individual tax return. If you have children that also need to file a return, we offer a very reduced rate for the preparation of returns for a dependent. For those who own their own business, we can help you learn to keep track of which expenses are deductible and which are not. 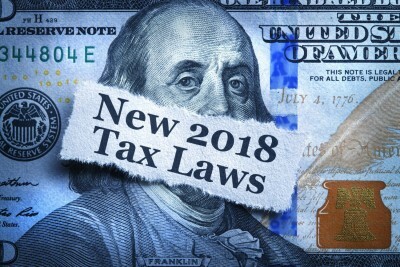 We will advise you about best practices for record keeping and reporting income and expenses to provide the maximum tax benefits within legal limits. We work with LLCs, Partnerships, S-Corporations, C-Corporations, and more. Dealing with the loss of a loved one is difficult enough without the added stress of preparing the required tax forms. We feel compassion for you situation and will do our best to make sure the appropriate documents are filed for the estate. We can also assist you with filing a final return for your loved one’s personal taxes. When setting up a trust or giving a loved one a financial gift, we can advise you of the tax implications and help you with accurately reporting it to the IRS and your State. Anytime you get a letter from the IRS or a State regarding a tax return, it is always advisable to speak with a tax professional. Having a Tax Professional on your side gives you the advantage of their expertise and experience in dealing with the IRS or the state. Many financial decisions have tax implications, such as contributing to a retirement account, selling a home, or owning a rental property. We can help you make informed decisions for all of these events and more! We want our clients to stay on track for the upcoming tax year and informed about decisions that may impact their upcoming tax return. To this end, we offer an hour of advice at no additional charge for returning clients. For new clients we charge a consulting fee, but the amount paid is treated as a deposit and applied to the cost of preparing your tax return. Please see our Bookkeeping and Payroll page for detailed information about our services. They have been taking care of us for the past 13 years. We never go anywhere else. When I was audited Eve was there for me through the whole process. Definitely recommend to my friends & family.